The term country code frequently refers to international dialing codes. Country calling codes or country dialin codes are telephone dialing prefixes for the member countries of the International Telecommunication Union (ITU). They are defined by the ITU-T in standards E.123 and E.164. E.164 defines a general format for international telephone numbers. All ASCII ccTLD identifiers are two letters long, and all two-letter top-level domains are ccTLDs. Creation and delegation of ccTLDs is described in RFC 1591, corresponding to ISO 3166-1 alpha-2 country codes. ISO 3166-1 alpha-2 codes are two-letter country codes defined inISO 3166-1, part of the ISO 3166 standard published by theInternational Organization for Standardization (ISO), to representcountries, dependent territories, and special areas of geographical interest. In 2010, the Internet Assigned Numbers Authority (IANA) began implementing internationalized country code TLDs, consisting of language-native characters when displayed in an end-user application (比如.中国，.中國，.香港，.台湾, .台灣). 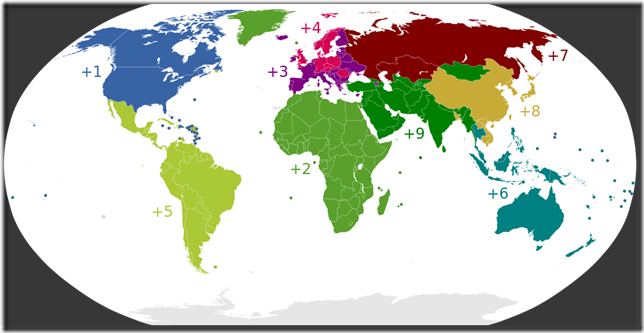 ISO 3166-1 alpha-2 – two-letter country codes which are the most widely used of the three, and used most prominently for the Internet‘s country code top-level domains (with a few exceptions).